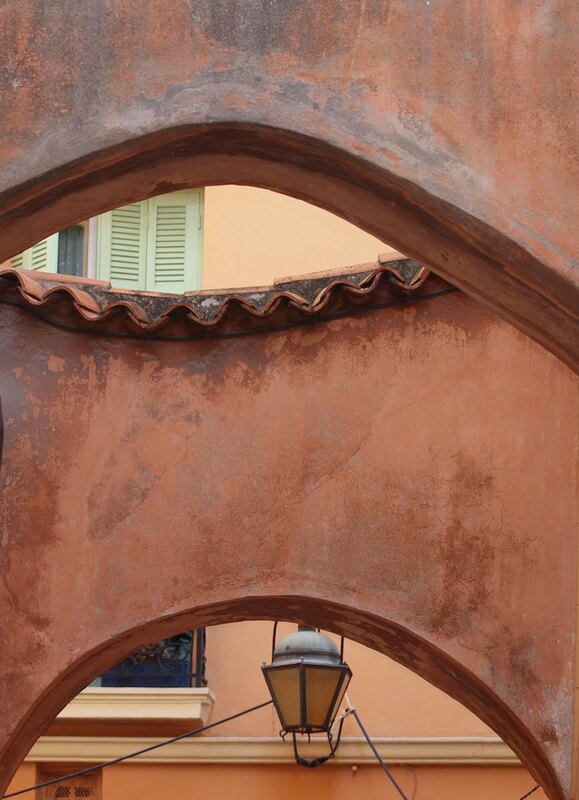 Look up and you see beautiful arches. Look down and there are road works. 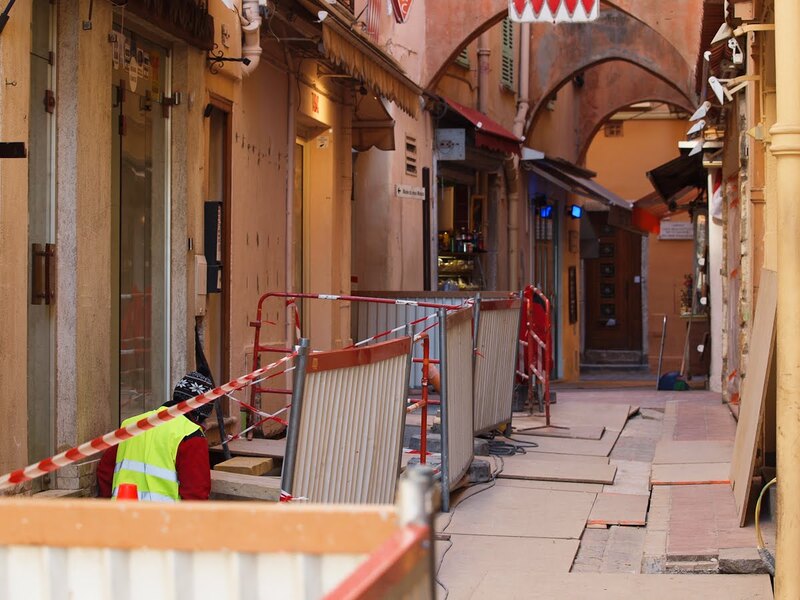 This small street (and others) on le rocher have been undergoing renovation for months and months. All will surely be ready tho for the wedding of Prince Albert and Charlene Wittstock on July 2nd. I would not think that this narrow street would come into play for the royal wedding. 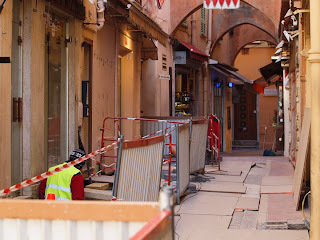 A benefit of all of that construction on the street is that it caused you to point your camera at the arches above. This looks a remake of rue longue a few years back! Well spotted. The punctures are almost like eyes that give glimpses of different fragments. I agree with Nathalie, that was exactly what I thought when I saw the 2nd pic.